As a brand, we promise timely delivery of projects and we are proud to quote that most of our projects have been delivered even before the possession date. We believe in living up to our customer’s expectations and making them our biggest brand ambassadors. Style with value and quality is our benchmark and our buildings bear testimony to this fact. Well developed area. Good connectivity to Ulwe via Navi Mumbai metro. Airport and railway line is within reach with sports complex. 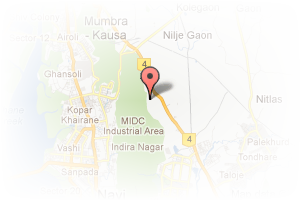 Address: 804 Ellora fiesta,Opp Juinagar Railway station, Jui Nagar, Navi Mumbai, Maharashtra, India. This Builder Profile page for "Kricon Group" has been created by PropertyWala.com. 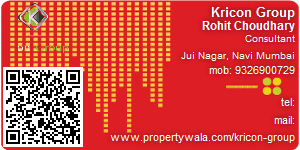 "Kricon Group" is not endorsed by or affiliated with PropertyWala.com. For questions regarding Builder Profiles on PropertyWala.com please contact us.